DJI Osmo Pocket is the solution so far missing for YouTuber and a video maker on the move: 3-axis stabilizer and 12 MP / 4K all-in-one camera. Once upon a time there were steady cam, mechanical systems to keep the camera stable during the operator’s movements. Then came the gimbal, electronic systems to perform the same function but in a simpler way. Both steady cam and gimbal are often heavy and bulky tools, so that one could hardly think of carrying them in a bag every day. 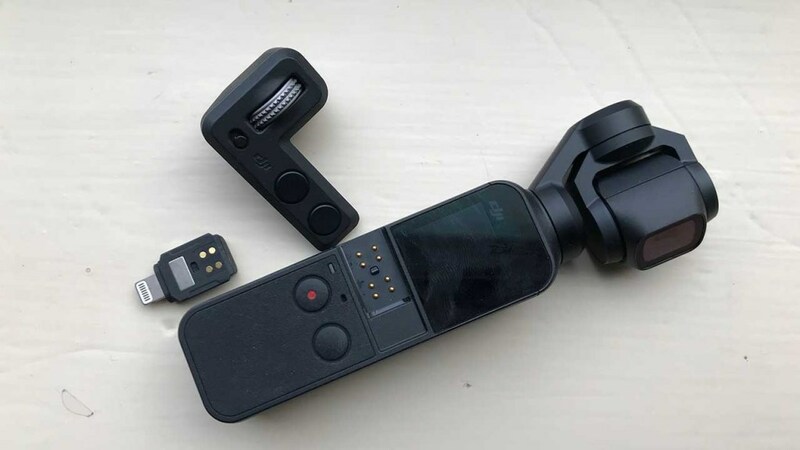 With the arrival of the DJI Osmo Pocket the situation has suddenly changed: given its size, equal to those of a packet of crackers, it is unthinkable to leave this concentration of technology at home capable of guaranteeing photos and videos without undesired blur very easily. 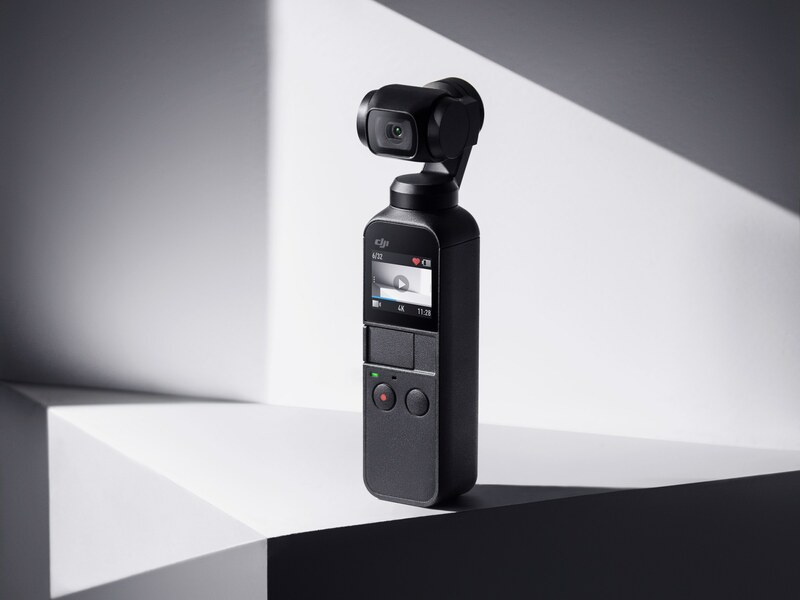 The DJI Osmo Pocket is a three-axis stabilized camera with incredibly small measurements, equal to 121.9 × 36.9 × 22.75 mm and 116 grams. 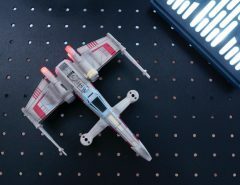 In this small space the designers of the DJI managed to place a 1 / 2.3″ and 12 Megapixel CMOS sensor, combined with an optic with an f / 2 aperture and 80° angle of view. The sensitivity varies from 100 to 3200 ISO, while the shutter can work with times between 1/8000 and 8 seconds. The photos can be saved in RAW format, while in the video field the shooting can be recorded with bitrate of 100 Mbps in 4K 60p, in FullHD 60p or in slow motion 4x. Storage is entrusted to a microSD card up to 256 GB, while the built-in battery is an 875mAh LiPo. The cardanic suspension is realized by three motors that can manage a horizontal rotation from -230° to + 50°, an inclination from -95° to 50° and a roll of ± 45°, with a maximum controllable speed of 120° / s.
We have supplied the rigid carrying case with its dedicated wrist strap and the two USB C and Lightning adapters for connection to the smartphone, where the dedicated DJI Mimo app must be installed. Without a smartphone, we can still use the DJI Osmo Pocket independently, controlling all the parameters via two buttons and the small 1″ touch screen. For once, the phrase “concentrated technology” is not just rhetoric. The technology / size ratio of the DJI Osmo Pocket is indeed impressive. All without compromising too much ergonomics and design. 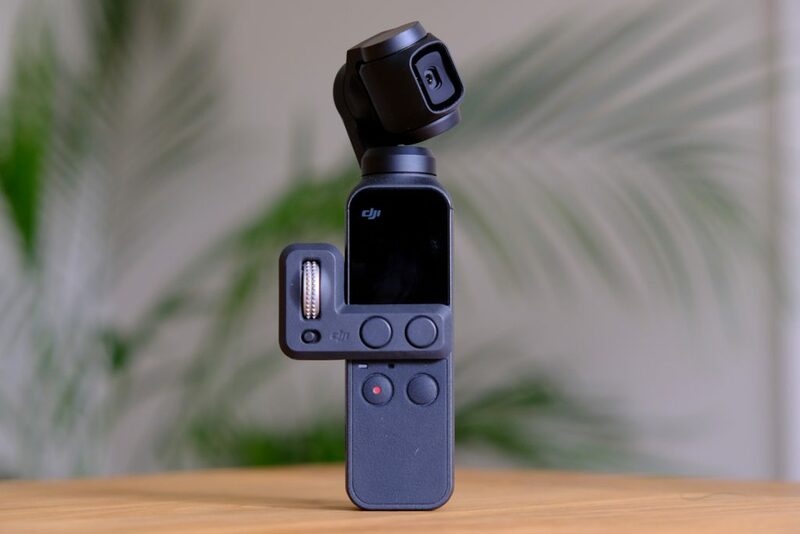 The lines of the DJI Osmo Pocket are in fact very modern and attract the eye, but keeping the focus on aspects such as heat dissipation, entrusted to the fins, or like the handle, rounded on the front and rubberized on the back. The small size, however, entail some waivers: there is no entry for an external microphone, no WiFi connectivity and above all an attack for stand is missing. However, they can be waived that can be solved by purchasing the dedicated accessories separately, including a dedicated selfie stick and underwater case. On the other hand, some waivers are inevitable with regards to the 1″ touch screen: all the parameters can be set via a series of swipes, but it is difficult to understand if the subject is in focus, especially in conditions of strong lighting. Usually when you buy a gimbal you need to do an initial calibration, a delicate and important step to get the engines and control electronics to work better. With the DJI Osmo Pocket you are immediately operational. Just charge the battery, insert a MicroSD card and we’re ready to record. The first shots are immediately satisfactory, even if we don’t pay the slightest attention to how we move. Stairs and any uncontrolled movement seem to magically disappear, all without the arm quickly getting tired as when holding a gimbal of standard size and weight. The creative possibilities are really wide, being able to choose between many photo and video shooting modes. Some difficulties only to find the overviews, which are saved in the DCI MIM folder of the smartphone’s system memory. In terms of digital noise, the shots are excellent from 100 to 400 ISO. Already starting from the ISO 800 we begin to notice the intervention of the noise reduction, but up to 1600 ISO the intervention never fails to affect the average detail. Even the maximum sensitivity of ISO 3200 remains usable, even if a fairly obvious grain appears. This is ultimately the typical behavior of a compact sensor, which is however well exploitable in most lighting conditions. Some problems arise only with exposure and white balance, which do not always readily adapt to changing lighting conditions. Much better is the continuous fire and the tracking of the subject: for those who recover on their own it is nice to be able to hook their faces and then be able to concentrate on the contents of their video, without bothering to keep the display constantly under control. 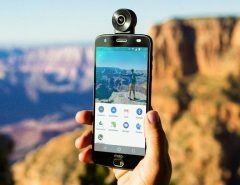 The DJI Osmo Pocket is indeed a real game changer for all those who have to produce video content frequently and quickly: youtuber, videomaker, travel blogger, reviewers. But of course it is also an ideal object to take with you to document parties, trips and events with friends and relatives, having always ensured the “wow” effect when you are going to show the results of the shooting. 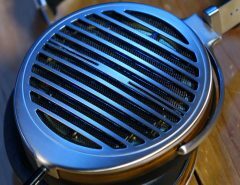 HiFiMan Susvara: Why do these headphones cost $7646?